The University’s mission is to deliver world-class research and teaching, educating students to become future leaders and innovators, and benefiting the wider population through research, enterprise and influence. 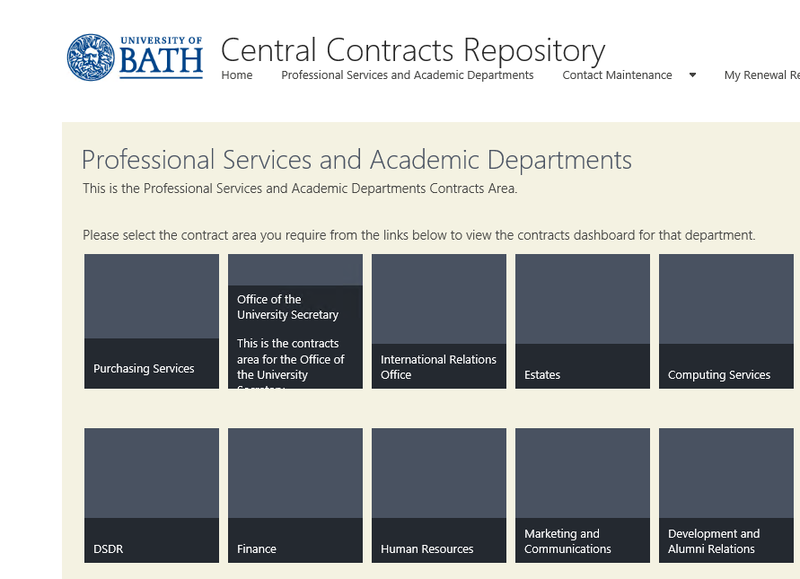 Contracts are created between the University and its numerous partners and suppliers across all departments and faculties, however different systems and methods are used to manage and maintain the contract information, meaning there is no easy way to provide a single point to view contract information. This is especially pertinent when contracts become due for renewal or for when contracts need to be re-negotiated. The existing disparate approach also means that there are huge inefficiencies, with a lot of work being duplicated due to the lack of clarity around current contracts and their related contacts and supporting documentation. The University Secretary’s office therefore identified a requirement for a solution to track and manage the progress and information related to all University contracts. Which companies or other parties the University has entered into contract with and for what purposes. Silversands designed and implemented a solution to provide a central location to electronically (but not physically) store information about key University contracts and electronic versions of the contracts themselves. The solution was delivered on the University’s existing SharePoint 2013 platform and provided an area for each professional services and academic department to store and manage contract information related to contracts within their area. Contracts are created and stored using document sets to provide an overview of all the key relevant information related to the contract, as well as providing the ability to store any supporting contract documents including electronic copies of the contracts themselves, (where appropriate). The solution implements a set of simple workflows to notify contract owners when contracts are due for renewal and also provides a dashboard allowing users to see ‘at a glance’ the status of any contract, including those whose renewal date has already passed. Finally, a central search function allows University managers to quickly search across all contracts to provide a high level reporting function.